Indian officials ask Freight Forwarders’ Association of India to conduct a dry run to study the feasibility of using a road route between Iran and Azerbaijan, according a report on Mint. India, which is exploring a free trade agreement with the Customs Union of Russia, Belarus and Kazakhstan, is pondering over using a road link between Iran and Azerbaijan, to get easier access the markets of Russia and former Soviet republics, Mint said on its website on Monday. 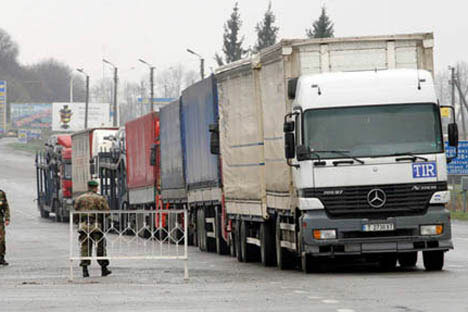 India’s commerce ministry has asked the Freight Forwarders’ Association of India (FFAI) to conduct a dry run to study the feasibility of using the road route between Rasht in Iran and Astara in Azerbaijan, the paper said. “We are trying to completely explore the route through a cost benefit analysis,” the paper cited an anonymous Indian commerce ministry official as saying. “The idea is to use the infrastructure as it is present today. The plan to build the rail is going on separately.” The official told the paper that FFAI would submit a report on the feasibility of the route by February or March. For the last six months, India has been trying to persuade Iran to build the 165-kilometre missing rail link between Rasht and Astara, but no concrete agreement has been reached. The paper added that India faces a growing imbalance in its trade with Russia, with the latter maintaining a $2.2 billion trade surplus as for 2012. That figure is unlikely to come down in 2013, although it is widely believed that Russian exports to India have fallen this year.